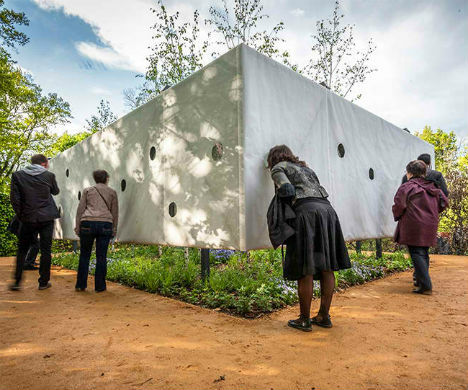 Peering through a hole in the hovering white skin of an unusual installation at the 22nd International International Garden Festival of Chaumont Sur Loire, France, seems to transport the viewer into a different place altogether. What could not be more than a few square meters, judging by the outside dimensions, becomes a vast forest that seemingly continues without end. 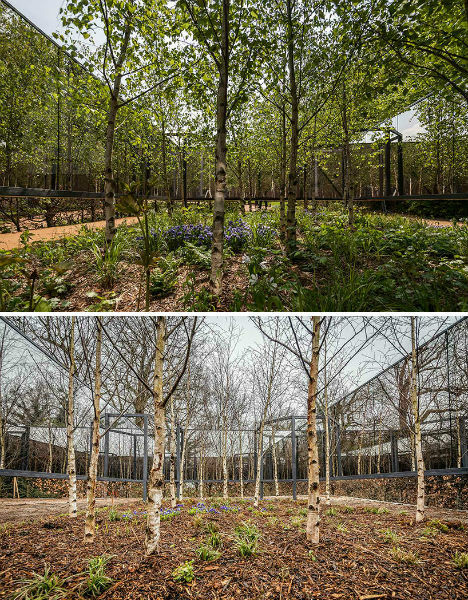 Outside-In is a ‘visual paradox’ that intends to show us how relying on our senses can limit our imagination. 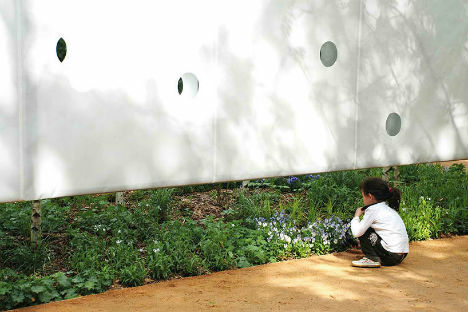 Designed by Meir Lobaton Corona and Ulli Heckmann architects, the installation is a white canvas box punctured with circular windows, rendering a small planted area inaccessible. 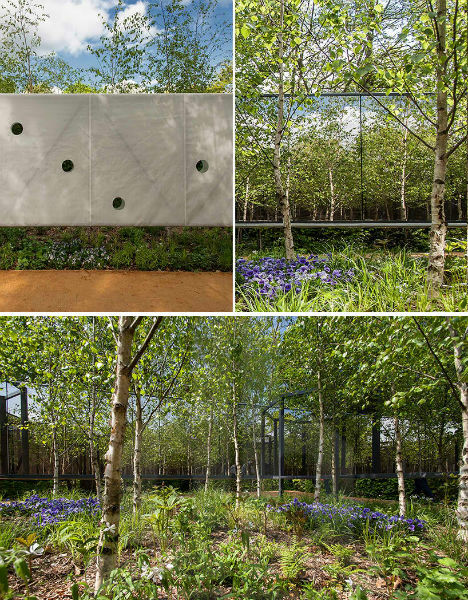 But mirrors mounted inside that box reflect the few trees that are actually contained within it. The effect is enhanced in warm seasons, when the leaves are at their lushest.